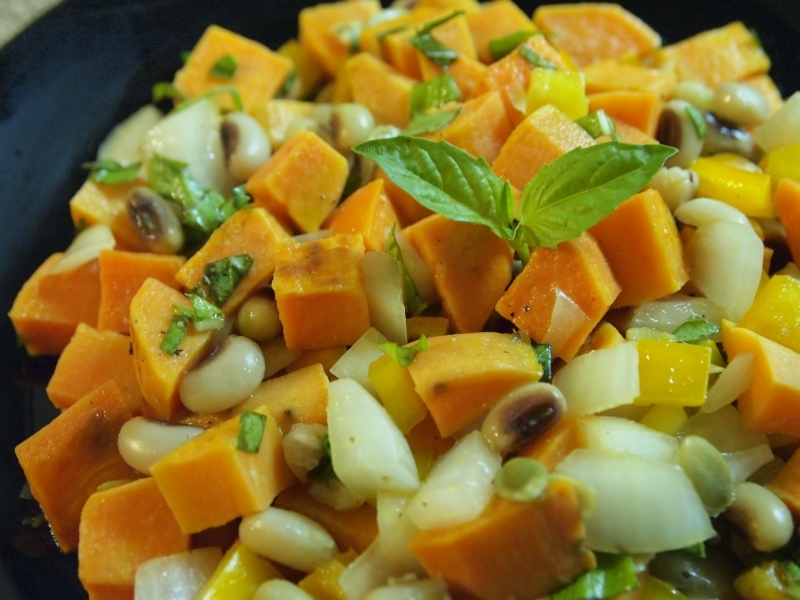 Arrange sweet potato cubes on a baking sheet and spray lightly with olive oil cooking spray. Bake the potatoes at 400 degrees for 12 minutes, or until tender. While the potatoes are baking, prepare the dressing by whisking the oil and lemon juice together and allowing the basil to marinade in the dressing. Remove the potatoes from the oven and let cool for about 15 minutes.